On January 30, 2019, the Federal Reserve Chairman Jerome Powell issued a statement saying their case for raising interest rates has somewhat weakened. This is a change in the fed´s tone that not so long ago tensed the market when they said they believed they will continue to raise the interest rates for 2019 until it gets to a neutral range. Many believe the fed is trying to appease the market because they gave the market precisely what it wanted – a mention of balance sheet strategy, a patient attitude, and a data-backed decision. Obviously, the interest rates fell and the stocks soared after their statement. This also led some people to question why the fed seemed extra cautious and more non-aggressive than expected. Do they perhaps know something that the market doesn´t? For businesses, there has never been a more important time to do financial planning than now. Are you going to trust the fed and budget for two more interest hikes this year? Or will you trust the market and use the available money you have to enter a new market, launch a new product line or invest in new equipment? One thing is for certain – whatever happens to the interest rates have a direct impact on any business big or small. 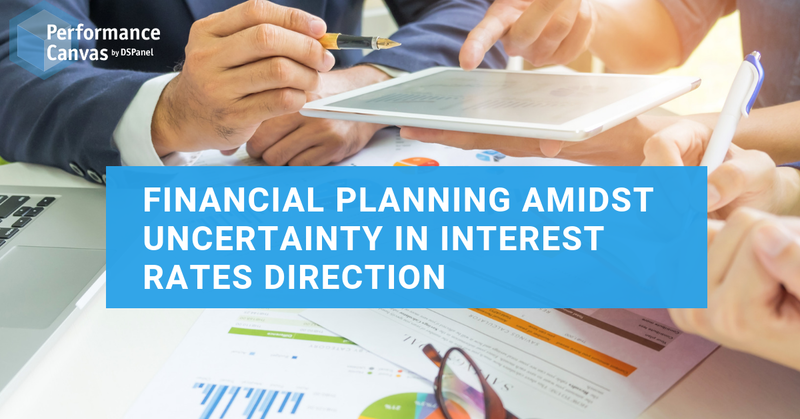 For all businesses, it is a critical period to get financial planning and analysis right. If your business wants to continue to grow despite the economic slowdown and looming changes in interest rates, you have to be agile and flexible in your strategy. Performance Canvas Financials is a complete and cloud-based financial planning, financial budgeting, financial reporting and analysis, and financial consolidation software. It will allow you to gain real-time insights so you can make more informed decisions. With Performance Canvas Financials, you can do unlimited what if analysis, you can test your assumptions, allocate resources more effectively, and you can align the entire organization. This is a solution that allows you to streamline your accounting processes so you can have accurate forecasts, realistic budgets, and insightful reports. Try out this cloud software for free for 30-days and protect your business. Visit www.performancecanvas.com or email info@dspanel.com to learn more.